If you are looking for a more secure operating system than Windows Linux Mint would be an ideal choice. Even if you use Windows 7 or Macintosh operating system then also you will find this attractive operating system. One of the most attractive features is that this operating system is less vulnerable to viruses, Trojans and other malware. In this article we discussed why you should go for Linux Mint. You can get operating system support a company of reliable remote computer repair. 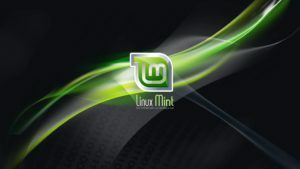 Linux Mint was launched primarily as a variant of the Ubuntu operating system. There have been many changes since its launch and now this operating system integrates a custom desktop and menus, as well as several unique configuration tools. There is also a package installation interface based on web. Linux Mint is not a resource hungry application and hardware requirements are very minor. System should have only Pentium II processor 350 MHz or higher, 512 MB random access memory (RAM), graphics card capable of a resolution of 1024 x 768 and sound card. Let’s take a look at how to how to install Linux Mint via USB. To install Linux Mint on your PC, download and ‘burn’ Linux Mint on a compact disc (CD). Then insert the CD into your computer and select CD as the first boot device. Wait a while and allow the Linux Mint load. Each time you see the partition screen must decide whether to totally eliminate the hard drive or want to keep the Windows operating system as up. To keep it, click the “install side by side” and adjust the slider. You also have to enter all the user data and then click “Finish”. To install Linux Mint takes 15-20 minutes. After completing the installation, restart your PC and remove the CD. Do you want to install Linux Mint from USB? If so, you need to have a USB flash with more than 2 GB. Now, comes the USB installer and run the program. You have to format the USB drive as the standard format and choose the level of “persistence” of the drop box. Then, click ‘Install’ and complete the installation process. The most attractive feature of Linux Mint is absolutely free and unlike Windows XP and Windows 7, you have to buy the operating system CD to install it. Since the operating system is less vulnerable to malicious objects that the Windows operating system is much better than any other operating system.